Classroom arrangement is one of the key decisions that teachers need to make when they begin a new teaching year. 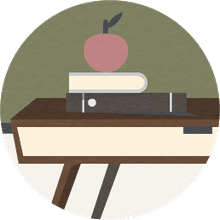 A few of the items that need to be decided include where to place the teacher desk, how to place the student desks, and whether or not to use seating charts. Teachers typically place their desk to the front of the classroom. However, there is nothing that says that this is the way it has to be. While being in the front of the class affords the teacher a good view of the student's faces, there are advantages to placing the desk in the back of the classroom. For one thing, by being in the back of the classroom, the teacher has less of a chance of blocking the student's view of the board. Additionally, less motivated students will choose to sit in the back of the class even though the teacher's desk is placed in the back. Finally, if a student needs help from the teacher, they might feel less intimated by not being 'on show' in front of the classroom. After placing the teacher's desk, the next step is to decide how you will arrange student desks. There are four main arrangements that you can choose from. You can set up desks into straight lines. This is the normal way in which student desks are set up. In a typical class, you might have five rows of six students. The benefit of this is that it affords the teacher the ability to walk between the rows. The negative is that it doesn't really allow for collaborative work. If you are going to have students often work in pairs or teams you will be moving the desks a lot. A second way to arrange desks is in a large circle. This has the benefit of providing ample opportunity for interaction but hinders the ability to utilize the board. It can also be challenging when having the students take quizzes and tests in that it is easier for students to cheat. Another method of classroom arrangement is to have students sit in pairs, with two desks touching each other. The teacher can still walk down the rows helping students, and there is a greater chance for collaboration to occur. The board is still available for use. However, a couple of issues can arise including interpersonal problems and cheating concerns. The fourth method to arrange student desks is in groups of four. Students face each other, providing them ample opportunity for teamwork and collaboration. However, some students might find they are not facing the board. Further, there can be interpersonal issues and cheating concerns. Most teachers opt to use rows for their students but have them move into the other arrangements if a specific lesson plan calls for it. Just be aware that this can take time and can be loud for adjoining classrooms. The final step in classroom arrangement is to decide how you are going to deal with where students sit. When you don't know the students coming in, you typically do not know which students should not be seated next to each other. Therefore, there are a couple of ways to set up your initial seating chart. One way that you can arrange students is alphabetical. This is a simple way that makes sense and can help you learn student names. Another method for seating charts is to alternate girls and boys. This is another simple way to divide out a class. One way that many teachers choose is to allow students to choose their seats. Then you as a teacher mark this down and it becomes the seating chart. The final option is to have no seating chart at all. Realize, however, that without a seating chart you lose a bit of control and you also lose a powerful way to help you learn student names. No matter which seating chart option you choose, make sure that you reserve the right to change the seating chart at any time in order to keep order in your classroom. Also, realize that you start the year without a seating chart and then decide partway through the year to implement one, this can cause some issues with students. What Role Should Prizes and Punishments Play in the Classroom?